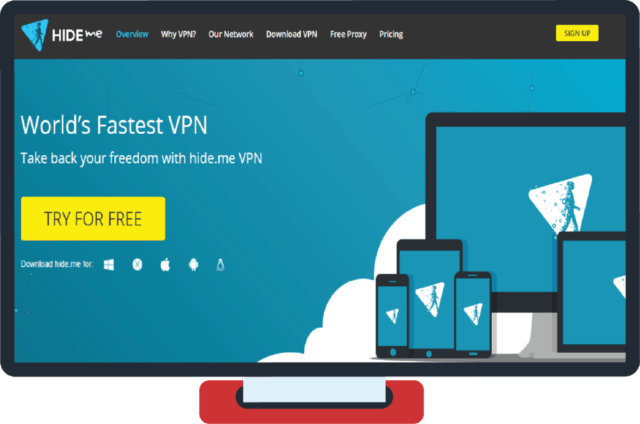 Hide.me VPN offers both free and paid subscription for their users, although the free version has a 2GB bandwidth cap and you can use their subscription on only one device. With their VPN software, you can choose from a wide variety of protocols, most famous of them is OpenVPN, which has become industry standard. Another plus of theirs is the use of bank security grade 256-bit AES encryption. How does their connection speed fare up to the industry leaders like ExpressVPN and NordVPN? Below you’ll learn the good, the bad, and the ugly about Hide.me, so you can decide if it’s the right VPN for your needs. Hide.me VPN works on Windows, MacOS, Linux, Android, iOS & Windows Phone. Hide.me comes strong out of the gate, offering top-of-the-line encryption, an excellent no-logging policy, and zero leaks. Check it out. 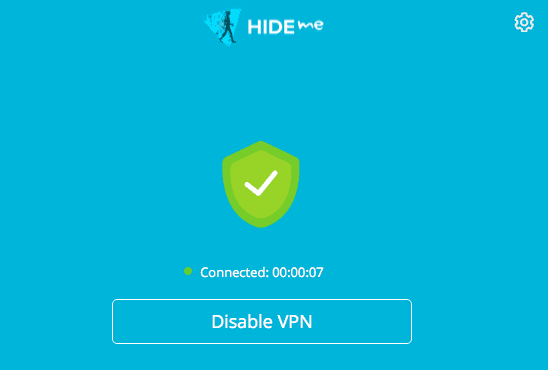 Hide.me offers advanced encryption algorithms and a few other features that make it one of the more secure VPNs out there. For starters, they offer up to 256-bit AES encryption. Plus, the encryption extends well beyond your browser, by encrypting access to your passwords, personal files, credit card, and other potentially-compromising personal information as well. In a nutshell, Hide.me should protect your data, hide your IP, and keep you secured on a public Wi-Fi network. Hide.me is also compatible with TOR which further adds to the security and privacy that the VPN already provides. One of the main selling points of Hide.me is its no log policy. They won’t log any of your browsing activity, connection information, IP addresses, your name, or any other personal information whatsoever. How does it execute this feat? Well, unlike a lot of other VPNs who ended up adding no-log features after they were up and running, Hide.me was built with having no logs at the front of their mind. We even did an extensive research on logging policies and found out that Hide.me truly doesn’t keep any logs while some others who make similar claims (hint: PureVPN & HideMyAss) do. But, don’t just take my word for it. They’re also regularly audited by VPN security analysts, including Leon Juranic who has certified them as a log-free VPN. A kill switch lets you stay protected, even when the VPN connection drops. You might think of this as a nice add-on feature, but here’s why it’s absolutely essential. 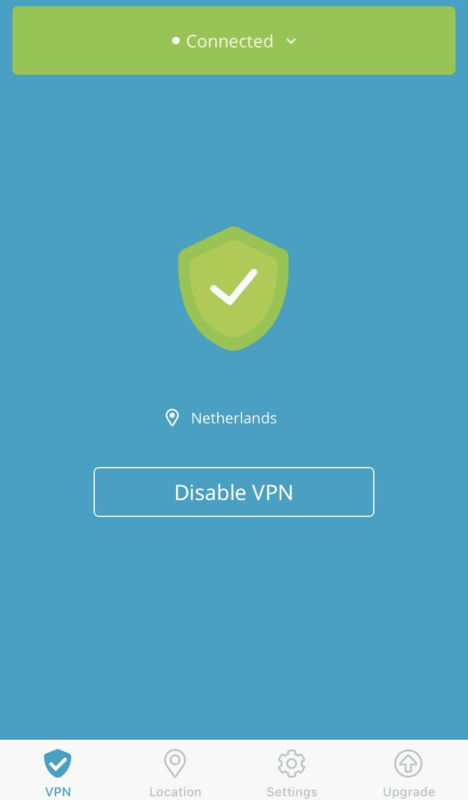 If your VPN connection drops at any time, your computer will often try to automatically connect back to another network (through a known WiFi network or your mobile’s cell data). Usually, this is a good thing. You get back on the internet ASAP without a hiccup, so you can keep browsing, streaming, or downloading. The problem is that now all of your data — and physical location — are out there in the open. A kill switch severs your internet connection to prevent this from happening. Hide.me takes extra lengths to ensure your IP address is protected. 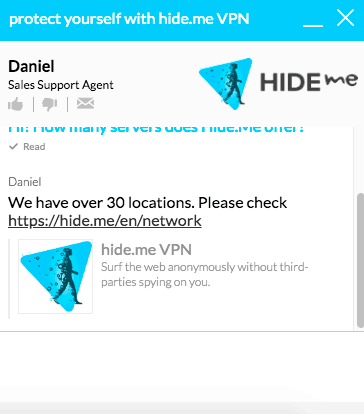 Once the connection with the Hide.me VPN is established, the app will delete the default local gateway to your internet connection, so your IP will be completely inaccessible. Plus, they block outgoing IPv6 connections too, if you have an ISP that assigned you one of these IP addresses, instead. A DNS leak occurs when DNS requests are routed through your computer and network, instead of the VPN you’re using. With Hide.me, you immediately set up a public DNS to the Hide.me network interface. That way every DNS request is routed through this VPN network, and once again, you’re invisible. All of that sounds great in theory, right? But we don’t stop at theory. So I put these claims to the test. I also tested to see if there were any DNS leaks with this VPN using Perfect Privacy’s Leaktest tool and found zero leaks. This proves that Hide.me is telling the truth when they boast about IP and DNS leak protection. Users can rest assured that there are truly no IP or DNS leaks with Hide.me. Hide.me has a specialized proxy that can be used for speedy P2P connections, perfect for torrenting. The SOCKS5 proxy is unencrypted, but you can use it with the VPN for added encryption. Since most browsers and P2P torrent clients support the SOCKS5 proxy, then this proxy can act as a kill switch for secure torrent downloading. According to Hide.me, this proxy and VPS setup can allow for much faster P2P application transfer rates too. With a premium subscription, you also get access to dynamic port forwarding. This allows P2P software to make a direct connection, rather than form that connection over a centralized server environment. Hide.me’s interface is easy to navigate no matter the device you’re using. On a PC or Mac, all it takes to connect to Hide.me is one press of a button. Switching server locations is also a breeze. All you have to do it open up the master list, scroll through to find the location you’re looking for, and tap. You’ll be connected within seconds. Hide.me’s mobile app is just as well designed. Similar to the desktop version, you can connect to a server immediately with just the press of a button. They do a good job limiting the number of clicks (or taps) you have to do to find anything. 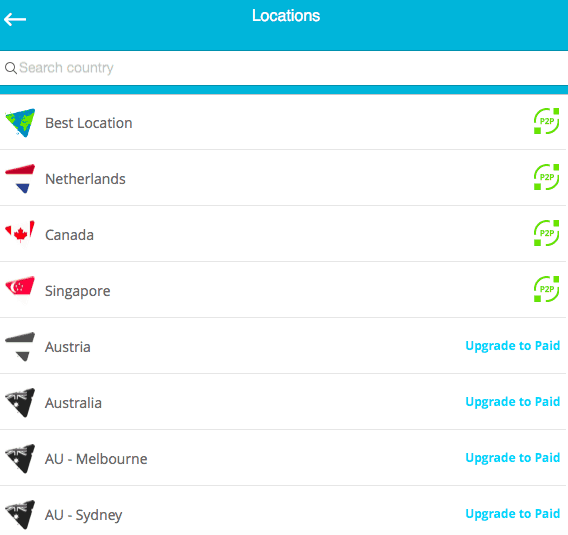 Locations and servers are searchable, and users can select app settings that best suit their specific VPN needs. We’ve been impressed with Hide.me so far. However, VPNs aren’t perfect. And Hide.me is no different. Here’s why. Hide.me packs on the security features. But it’s a little lackluster when it comes to their other service features, like technical support, server network, and connections allowed. Learn more about these drawbacks below. Since Hide.me is a newer VPN, it’s expected to have a smaller server network. Currently, they have 160+ servers throughout 55 different locations across the globe, including North America, South America, Europe, and Asia. It still offers a very widespread location of servers. But those raw numbers don’t stack up to other VPNs, which boast server networks in the thousands. For this test, I used the mid-tier plan ($4.99) version of Hide.me, so the speeds might not be as fast as the premium level plans. That’s a pretty big drop off if we’re being honest. And those low numbers in the twenties also mean your streaming could be jeopardized. The mid-range Hide.me plan only allows one single connection. That’s pretty bad, too. Most of the other top VPNs we’ve reviewed will give you anywhere from three to five simultaneous connections on their basic plans. But not Hide.me. To unlock five, you’ll have to pay for the most expensive plan they offer. So the value for the money isn’t exactly good here. If you’re a bargain shopper, then you might be a little disappointed by the free plan. Sure, it’s equipped with solid security features. But you won’t be able to do a whole lot. With the free plan, your data transfer is capped at 2GB (bandwidth), which you’ll probably hit very quick if you’re doing more than checking email and browsing the web and be forced to upgrade to a higher plan. And you only get access to three server locations and one connection. They have a solid list of features, but with other plans, even ones that are cheaper, offer unlimited data and have multiple simultaneous connections. They offer 24/7 support via live chat, email, and a ticketing system. There’s also a user community. When I sent Hide.me a message via live chat, an agent responded in less than one minute. Talk about lightning fast! So what could possibly be the problem? Their primary chat reps simply aren’t that helpful. The live chat agent I spoke with directed me to the tech team for any tricky, more difficult-to-answer questions. The live chat support was pretty responsive and helpful regarding basic questions about the platform. Otherwise, technical support is handled by a ticketing system, which at least per my request, took quite some time to get back to me. If you’re a Netflix addict like myself, then you’re going to have to find an alternative. The VPN ban imposed by Netflix didn’t affect every single VPN, but Hide.me has been having difficulties since the ban went into effect. First, you can get a forever free plan (but it’s pretty limited). If you do end up putting your money on the line, you better make a decision quickly. That’s because you only have 14-days to request a refund. You’ll also have to watch out for the refund data limit. A tiny little clause that specifies that if you went over 500MB worth of data, then you’re no longer eligible for the refund (basically if you didn’t use the service). That kind of refund policy is pretty disappointing. It sounds like they’re offering one on paper, but using any trick in the book to make sure you won’t actually get your money back. Unlike a lot of VPNs, Hide.me doesn’t cover up their terms and conditions and pricing with dense legalese. I like to think they have a what you see is what you get pricing model, which is sadly pretty rare in the online service space. You’ll find three different pricing plans, including Free, Plus, and Premium. The Plus plan will cost you $9.95 per month, but it drops to $6.65 if you pay on a six-month basis, or $4.99 per month if you pay on a yearly basis. The Premium plan has a similar pricing structure, and costs $19.95 per month on a monthly basis, $13.32 per month if you pay for six months, or drops to $9.99 per month if you pay on an annual basis. These costs make it one of the higher priced VPNs out there. If the price is an issue, you’ll probably want to look for a cheaper alternative. You can get away with using the free plan, but you are limited in the amount of data you can use and the number of servers you have access to. If you do opt for the free plan, just know that you have to renew your subscription every 14 days to keep the service going. Regarding anonymous payment options (besides the obvious – PayPal & Credit Cards) you can also buy their software/app with Bitcoin. Basically, they don’t keep or store any of your data or personal information, and if you decide to stop using the service your data is deleted. If you’re the type of person who cares about their own privacy and want a VPN that shares this same belief, then Hide.me is worth considering. Hide.me offers you a feature-rich, easy-to-use, and secure VPN that’ll be able to meet most user’s needs, as long as you’re fine with paying the $9.99 premium monthly fee. The mid-range and free plan will end up being quite limited. Overall, with its P2P support, and stellar security and privacy measures it would be a great fit for people using the service to stream or download. However, there are some serious drawbacks to consider, like slow speed (especially compared to similarly priced NordVPN & ExpressVPN). If you’ve used Hide.me, leave a review below and help out others! Have used Hide.me for a few years now and have no complaints. You get quite a bit more from their premium service, but even their free version is above grade. 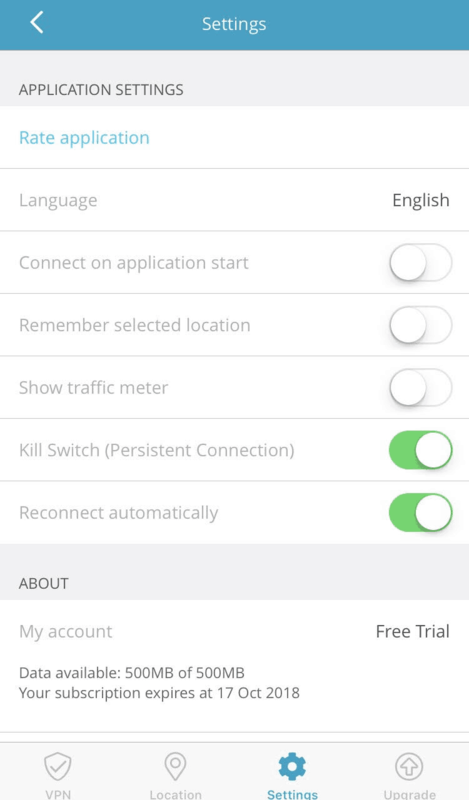 Killswitch is a handy feature that disconnects internet access if the vpn connection ever drops. Peace of mind. 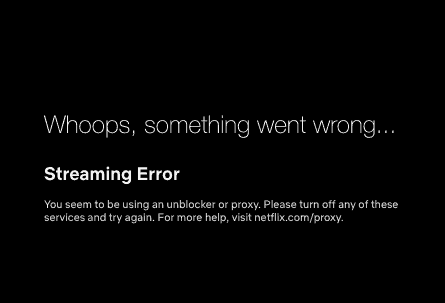 I still cannot access restricted content to Italy. Useless. Installed the VPN client, set the location as Italy, green light all good. Can’t even sign into my account with the hideme VPN app, just says login failed. When I select the free trial it works. I paid for the 1 month service but nope no 2nd email 8 hours later still cant use the service. The time is running out and I cant use what i paid for. ROBBERS scammers. And their support is really poor, too. I have been using Hide.me for almost a year now. I am able to get 150Mbps + regularly from their larger exit points like Canada and Mexico when torrenting. I also use it to bypass the restrictive content filtering at work and just speed tested 150/50 from the US EAST exit point. Not sure why you are getting such poor performance. Have used this VPN multiple times for multiple reasons. Hasn’t let me down. The best thing is that you can get it for free. Haven’t used the the premium one’s, but they should be even better than the free one! All hands down, couldn’t ask for anything better. I was hooked by their free service so I decided to sign up and give them a try. I think I used them roughly 2 weeks before I decided to upgrade to a paid account. This was mistake because I never got any better performance from them. 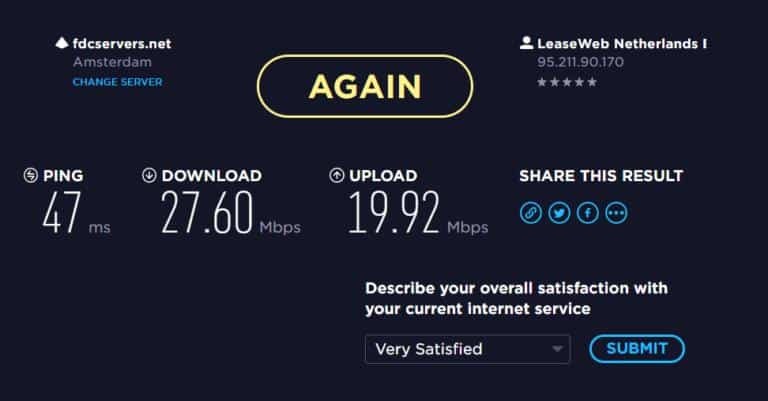 I thought my download speed would skyrocket and I’d be able to use them for Torrenting or watching movies online, but in reality they we’re still slow. After that I cancelled the paid version and continued using their free service. I’m using their free version, it’s doing what it’s needed. I’ve used free VPN providers in the past aswell, but I’ve been happy with Hide.me. Probably going to try out their premium version aswell, since they’ve won my trust. (Which is quite a hard thing to do). I’d recommend them for anyone who’s trying out a vpn, since they offer a free version which is quite fast and reliable.